With many women who are educated now especially in developed countries, they have the ability to provide the family financially but when they become mothers, they start to handle the role of motherhood. Most mothers are not able to handle or they will find it challenging for them to handle the numerous roles they are handling like being the wife, daughter, superior of a team, daughter-in-law, a friend of a mother, mommy of her children and. financial controller of the family. Now they are overwhelmed especially having a new life that’s now a big part of their life. They started to feel guilty because they are not able to spend time with their babies. If they are working in a job, a lot of their time does not belong to them. Their time are their bosses’ or company’s time. At the end of the day, they might have so little of time for themselves that all these time left for themselves are given to their babies and children. As time goes by, they will start to deplete emotionally, mentally and physically. This will result in a lot of social issues and conflict between them and their family members. In most cases, the only resort is to change jobs but this will not solve the time issue. In order to have control of their time and that is to start your own business or be an entrepreneur. If the reason for them to start their business is to live their life on their own term and to be able to spend more time with their family and loved ones, they will be willing to do whatever it takes for them to achieve this lifestyle. 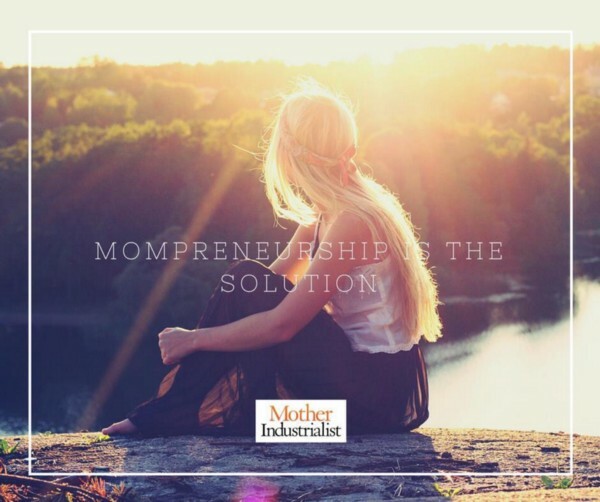 When I wrote Mother Industrialist, I interviewed 15 mompreneurs and featured their inspiring stories in my book. This is to share with other mothers that they can have the lifestyle that they always dreamt of. In my book, Mother Industrialist I shared the the blueprint of being a mompreneur by using the 3 Ps (Passion, Purpose and Profit). By using this 3 Ps, you will be able to craft out a basic business model that will help you kickstart your business. There are a lot of things I have shared in the book which might help you in a way or other. Get a copy of my book, Mother Industrialist now and your life will never be the same again!